I’m not sure about you, but I seem to be seeing more patients with syncope than ever before. 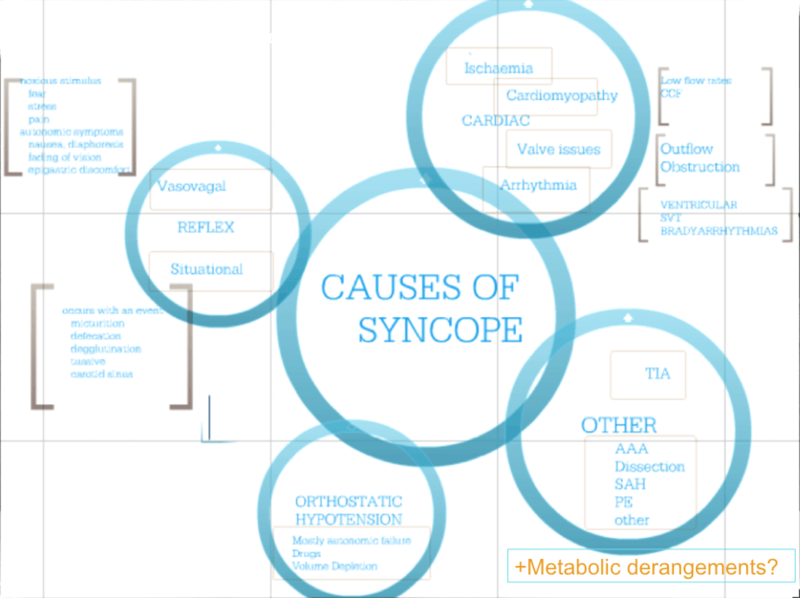 This year at EMCORE, I spent over an hour going into the ECG’s of syncope. AAA, thoracic aortic dissection, pulmonary embolism, subarachnoid haemorrhage or other intracranial bleed. The ECG has a less than 5% yield(Ann Emerg Med 1984) in these cases, however a normal ECG lowers the likelihood of arrhythmia as a cause of syncope. The reality is, that no other screening test has been shown to make any great difference. In view of this, I came up with a simple memory device, so we can remember what we need to look for in the ECG, when patients with syncope present. Will it pick up everything? Nothing does, but it will pick up the big things. Here is the formula. For those that have the ECG in 20 Seconds USB, you will also have a password emailed, that allows you to watch the full 1 hour video.